In stock -This product will ship today if ordered within the next 8 hours and 44 minutes. A sulphate free cleanser, enriched with aromatic botanicals to revive your senses in the morning or stimulate and refresh a tired body. 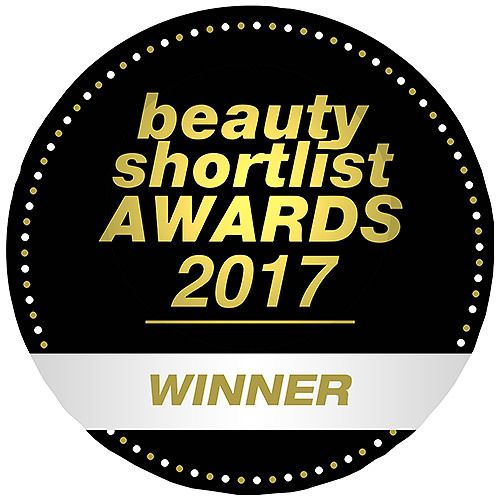 Contains skin softening jojoba, avocado and rosehip oils and aromatherapeutic essential oils of tangerine, mandarin, lavender and vanilla extract. Suitable for all skin types, especially sensitive. Water (Aqua), Aloe Barbadensis Leaf Juice, Cocoamidopropyl Betaine, Decyl Glucoside, PEG-150 Pentaerythrityl Tetrastearate, Glycerin, Rosa Canina Fruit Oil (Rose Hip), Simmondsia Chinensis (Jojoba) Seed Oil, Persea Gratissima (Avocado) Oil, Tocopherol (Vitamin E), Chamomilla Recutita (Matricaria) Extract (Chamomile), Yucca Schidigera Roor Extract, Lavandula Angustifolia (Lavender) Extract, Citrus Tangerina (Tangerine) Peel Oil, Citrus Nobilis (Mandarin Orange) Peel Oil, Lavandula Angustifolia (Lavender) Oil, Vanillin, Vanilla Planifolia Fruit Extract, Phenoxyethanol, Benzyl Alcohol, Limonene*, Linalool*. 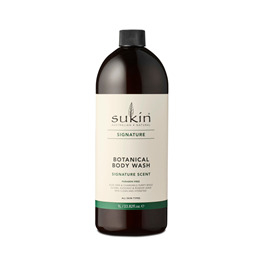 Below are reviews of Sukin Botanical Body Wash - Pump - 1 Litre by bodykind customers. If you have tried this product we'd love to hear what you think so please leave a review. Beautiful product packaged conveniently in a 1 litre bottle. Love the scent and not drying in the skin. Love it and a good price with no nasties in it! Lovely natural product to care for the skin with a good scent that's not overpowering. Will last for ages too! Great value.